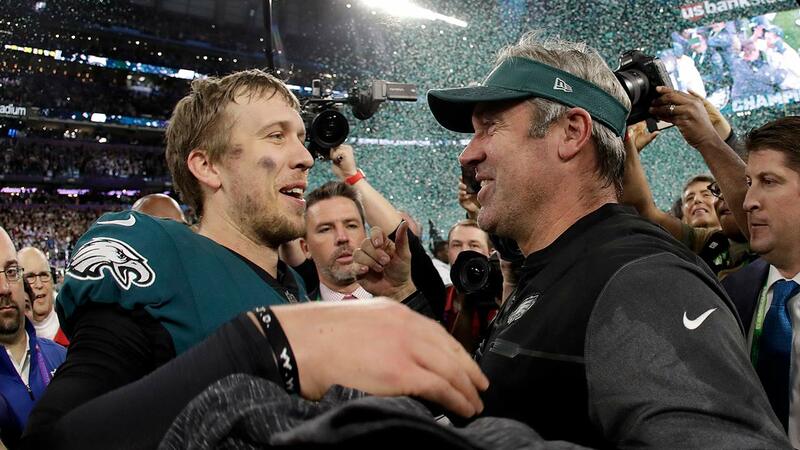 The Philadelphia Eagles did not get any offers of interest for Super Bowl LII MVP quarterback Nick Foles, head coach Doug Pederson said. Pederson made the comments during an interview with NFL Network's Steve Wyche at the NFL Annual Meeting on Saturday. It was reported in an article on NFL.com. "Nothing too crazy. It had to be the right deal for us to do that. But there wasn't anything coming down our way for Nick," Pederson said. As for Carson Wentz, Pederson tells NFL Network that "he's doing well" and is "ahead of schedule." The coach says Foles is fine with being a mentor. "He understands this is Carson's team," Pederson said. To read the full report from NFL.com, click here.